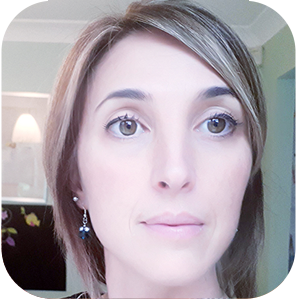 My name is Anna Biavati-Smith, I am a private Specialist Speech and Language Therapist based in Edinburgh. I graduated from Queen Margaret University in Edinburgh as a Speech & Language Therapist in 2002 and also completed an MSc in Science of Education in 1996. I am a mum of two fantastic children, who never fail to teach me something new. My relationship with my children forms the basis of my therapeutic relationship. I am also bilingual in English and Italian, with a working knowledge of Spanish and French, so that I can help also in bilingualism approach. Working for 13 years for the NHS, managing a speech and language therapy clinic, I worked with many children and their families. I started my independent practice in the Edinburgh area in 2014, enjoying helping children with a range of speech, language and communication needs. In 2013 I founded the Scottish Selective Mutism Group in 2013 and I regularly provide seminars and support to parents and professionals. I have delivered therapy for children across a variety of settings including community clinics, hospitals, schools and nurseries, as well as managing case loads as part of a multi-disciplinary paediatric team. I have extensive experience of providing staff group training on Speech and Language development to organisations, schools, nurseries and other healthcare professionals. "Everyone should be able to reach their communication potential"
Board member and co-founder of Selective Mutism National C.E.N. (Clinical Excellence Networks). I am dedicated to ongoing professional development and a member of a number of other CENs. I am committed to using up-to-date research and evidence based clinical advice and has effectively supported many parents during my career, providing immediate reassurance.